You spend more time in your bedroom than any other room in your house, so it should be more than just a place for you to pass out at the end of the day. It should be your sanctuary. It should reflect who you are and make you feel happy and comfortable no matter how small it is. The best advice I can give to someone with a small bedroom is to DE-CLUTTER! The bedroom is the number one area for collecting unnecessary junk. 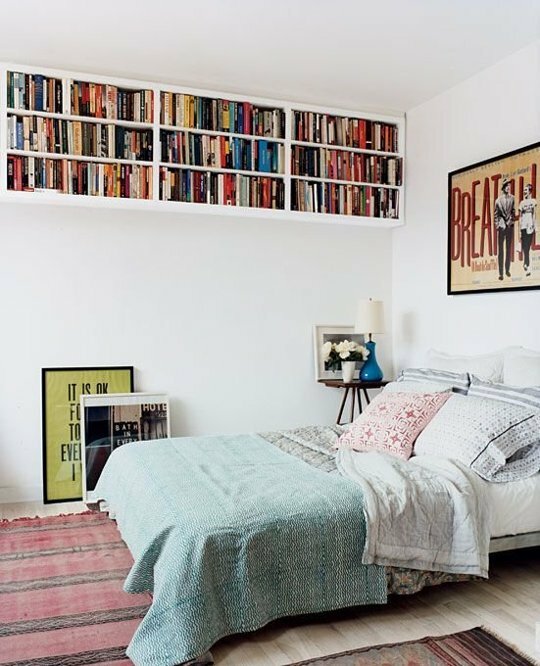 Take a good look at the things that take up space in your room. You will be surprised at how open your room will look after getting rid of a few things you no longer use. Shelves, again can take your space from being an over-cluttered mess to an organized haven. Running shelves along the top of your walls will multiply your storage space and is especially handy for seasonal items that you don’t use very often. A deep windowsill or simple shelf can also do double duty as a nightstand or desk without wasting any of that precious floor space! 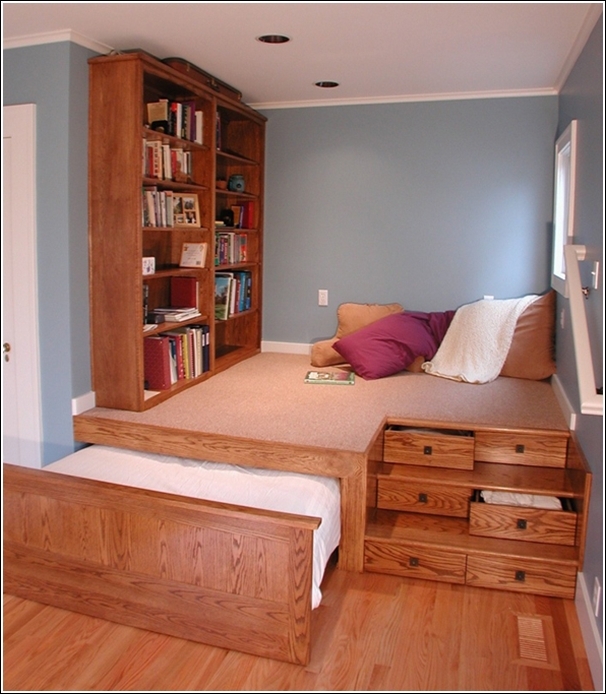 If you are more crafty and good with construction, here are some creative ways people have utilized their bed space to save closet space. Take a minute to step back and really look at your closet. How much of it do you really use? How is it organized? Is it honestly organized at all? The first step to finding more room in your closet is to get rid of things you don’t need. If you haven’t worn something in over a year, it’s not worth the closet space it’s taking up. Donate clothing that you no longer use, or find better use for it as rags. Once you’ve decided what to keep, find any seasonal clothing that you won’t be using for several months and store it out of sight! This is a great time to use those high shelves I’ve been talking about. The only articles of clothing left should be ones that you WILL wear in the next two months or sooner. 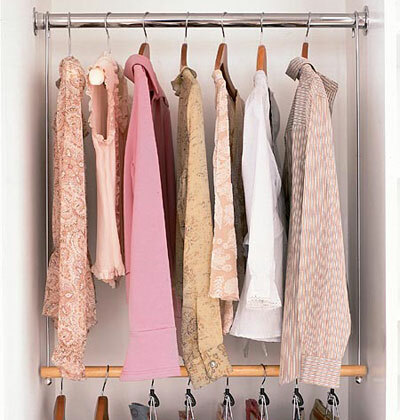 Once you’ve addressed the most common problem of small closets (too much stuff! 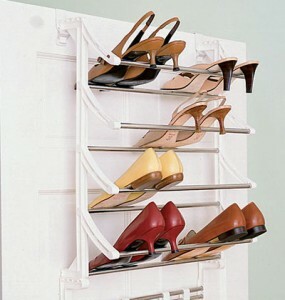 ), you can go on to organizing the thing you actually use. Here’s a riddle: what’s bulky, oddly shaped, and just sits in the closet wasting space? (No, this is not a your mama joke) It’s your shoe collection! I could probably make an entire blog JUST about organizing shoes, but here’s the short and sweet version: Store them vertically! 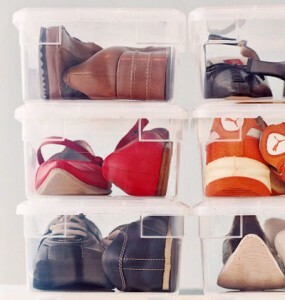 Whether you want to use a hanging shoe rack, a set of shelves, or just some stackable boxes, vertical storage is the key. As for hanging clothes, you have to find a system that works for you. You will probably have to play around with different arrangements, but when you find a way that works, stick to it! Learn the uses for different types of hangers in order to keep your clothes looking nicer; plastic hangers for button-downs, wooden hangers for suit jackets, and padded ones for delicate fabrics. Consider adding additional hanging rods for extra storage space. Keep the things you use the most at eye level, but for less often-used items look up instead of down! 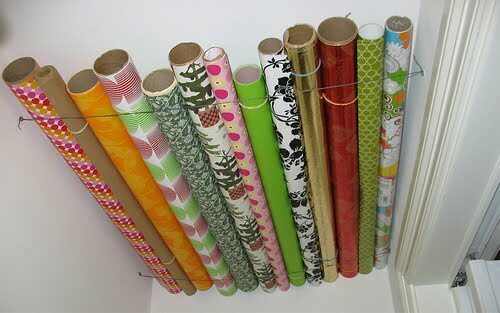 Build an extra shelf at the top of your closet if there isn’t one already, or insert racks or wires along the celling of a walk-in closet for a clever wrapping paper storage area! This family used wire to keep their wrapping paper out of reach! 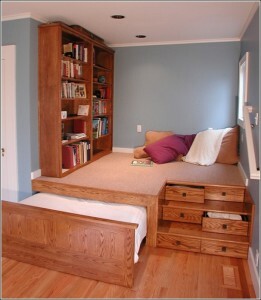 Follow our space saving tips and your home will surely start to feel cozier rather than cramped.